180 gram LP version. By 1969 at the latest, Dieter Moebius was synonymous with the avant-garde electronic music scene in Germany. He and Hans-Joachim Roedelius formed Cluster, a seminal electronic/ambient duo, while Moebius was also a member of the so-called Krautrock supergroup Harmonia (with Michael Rother and Roedelius), as well as collaborating on various other projects with the likes of Brian Eno and Mani Neumeier from Guru Guru. 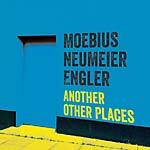 This was the last solo album that Moebius delivered to Sky Records, originally released in 1986. 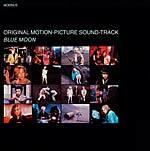 Blue Moon was released at a time when electronically-created pop music was no longer perceived as exotic. 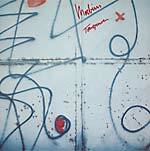 It was new music, free of the ballast of the 1970s, minimalist and uncluttered. 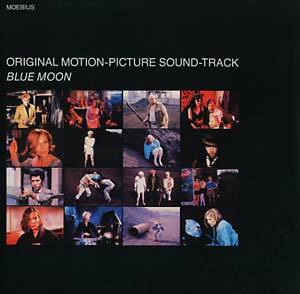 Moebius, a constant simplifier in the Cluster/Harmonia family, made a particular virtue of this simplicity on Blue Moon, resulting in 11 wonderfully measured miniatures, rhythmic, harmonic textures of exceptional aural transparency. Clarity, calm and an impression of unthreatening irreality run through all 11 pieces, which, to capture their full sense of musical and atmospheric development, would all need to be twice as long. Instead of which, regrettably, they break off abruptly, all too soon, all too often. Short isn't always sweet. What an epochal flight of fancy Blue Moon could have been, had it extended to a double album format. But Moebius, his wings clipped in the service of film music, needed, of course, to match his compositions to the length of each scene -- sometimes a blessing, other times a curse. Due to their soundtrack function, the 11 compositions on the album fell short of the glittering diamonds they could so easily have become, precious though they undoubtedly were. As previously on Tonspuren (BB 040CD/LP), Moebius structures his music with well defined, sharp contours, modestly elegant, simple yet rich in detail, thus never running the risk of lapsing into monotony. 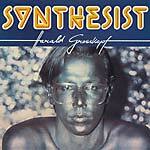 This is forceful electronic pop music and it works perfectly well without pictures. 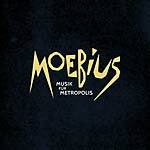 It has survived throughout the decades because Moebius -- much like his Harmonia colleagues, Hans-Joachim Roedelius and Michael Rother -- had formulated a musical language which, today, can be understood better than ever. 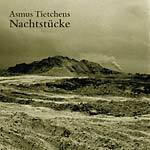 Innersleeve with full-color photos and notes by Asmus Tietchens.